I know this is terrifically un-PC of me, bashing a local! farmer! 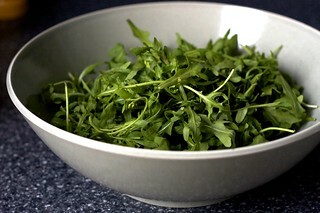 but I'm still irked over the THREE OUNCES of arugula I bought last week from a farmers market for $4 (that's more than $20/pound) that was rotten less than 20 hours later. Satur Farms spicy arugula, you can stay.